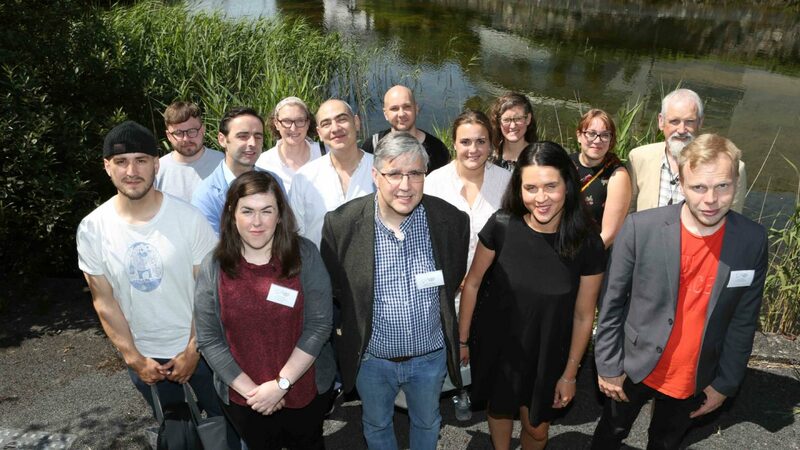 Our latest creative exchange seminar in the west of Ireland on July 12th connected international practitioners from film, TV and digital media across a creative momentum project partner regions. 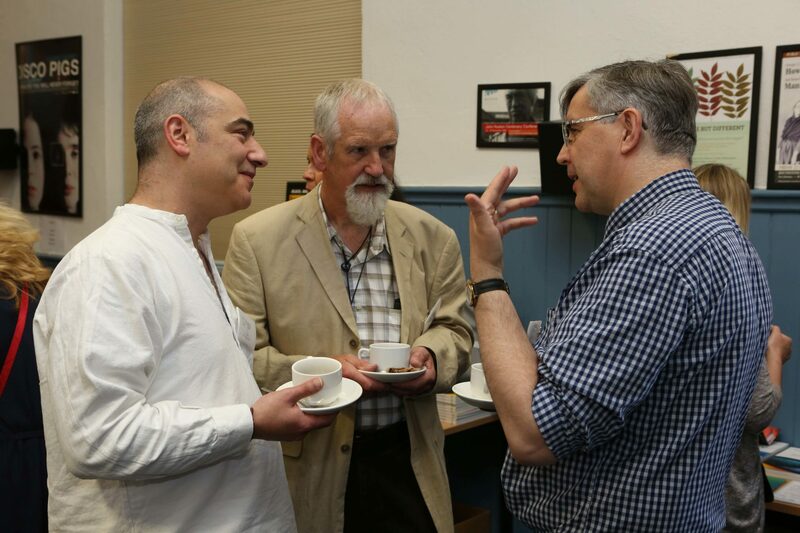 The exchange focused on sharing experiences of working in screen industries in peripheral areas. 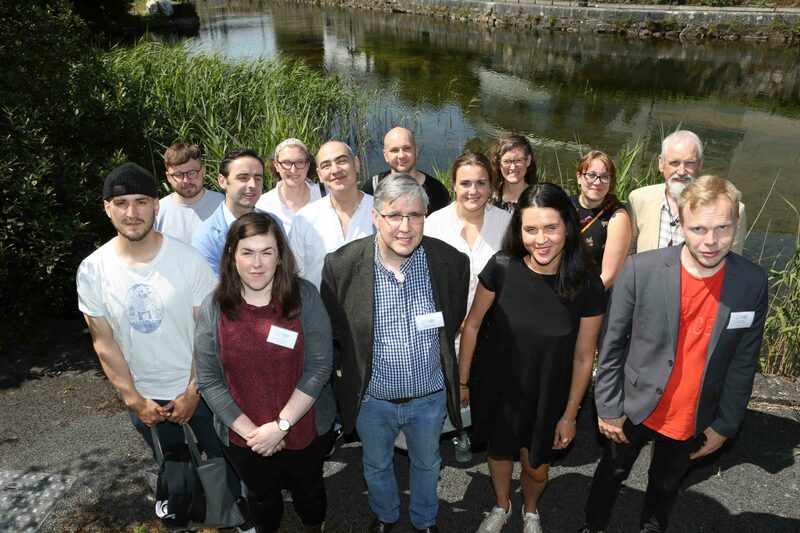 It also connected the film-makers in Galway to attend the Galway Film Fleadh with the support of a creative momentum project. Pauline White from the Western Development Commission gave the audience an insight on past, present and planned a creative momentum project activities, including Creative2Creative matching. This activity pairs entrepreneurs working in creative industries to facilitate sharing their experiences of working in the partner regions and learning from each other. One such match is Antti Kaarlela (EverWhatProductions – Northern Finland) and Emma Owen (Babyjane Productions – West of Ireland) who also spoke about their learning since being paired. Antti noted that in Finland to get funding for a short film you need to have a broadcaster attached, in Ireland you don’t. Both companies are interested in international markets. ‘Creative2Creative Matching was great as we had space to talk and get to know each other personally without any agenda. This helped to build trust and co-developing a project emerged from that,’ Emma said. ‘The Finnish Film Foundation gives funding for co-development, as does the Irish Film Board. So we can both apply for funding for co-development of our feature film project,’ added Antti. The first Q&A panel discussion had a focus on Finland. Annti and Emma joined the panel along with two Finnish filmmakers, Joonas Pirttikangas (Hepola Film) and Petteri Staven (Mutant Koala Pictures). Joonas discussed his experience of developing a super low budget feature film and his aspirations to drive change in Finnish film. Petteri introduced the audience to the work of Mutant Koala and took us through how the company developed a short film about a space traveller and his android who crash landed on a deserted planet. Declan Gibbons from Galway Film Centre talked about Galway’s thriving film industry and its current designation as UNESCO City of Film. 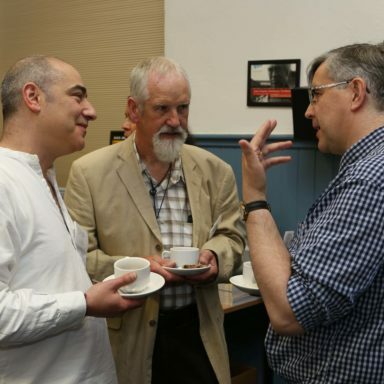 Dr Conn Holohan from the Huston School of Film and Digital Media at NUI Galway spoke about the history of Irish cinema and influence of film funding on it. George Kingsnorth of Gullion Media in Northern Ireland outlined how he had made a feature film called Fiddler’s Walk using a co-operative model. 73 people were involved with each giving approximately 3 days of their time which was valued as their investment in the film. For the people involved it was a training exercise and a model of how to use the co-op model for film-making. ‘In Northern Ireland, a lot of people work on short-term contracts for multi-national productions e.g. Game of Thrones, and then there are around 200 1 person production companies. They often don’t want to collaborate, as they are worried about sharing their ideas, but we have to develop projects as a community. It takes time to build relationships and trust but it can lead to international opportunities and bigger audiences,’ he concluded. The second Q&A panel discussion had a focus on Iceland, Northern Ireland and Sweden. 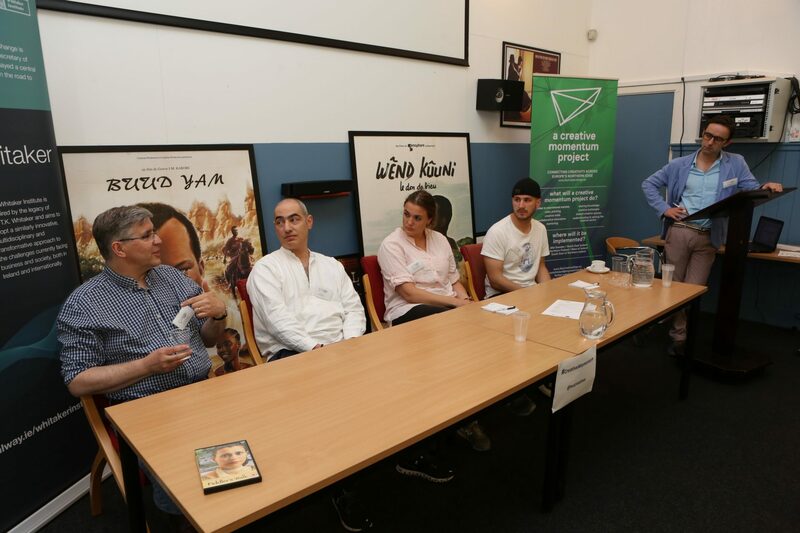 Panelists were George Kingsnorth (Gullion Media) and Joe Marcus (OMAS Media) from Northern Ireland, Birna Pétursdóttir (Fluga Hugmyndahús) from Iceland and Daniel Nordlund (Mountain North Pictures) from Sweden. 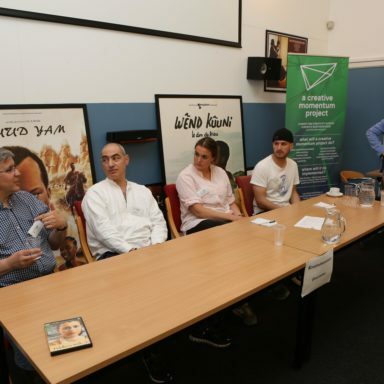 The conversation highlighted how filmmakers across the regions’ share similar challenges – funding, building connections, as well as gaining and sustaining confidence in a tough industry. Joe Marcus noted that he is lucky as he also works as an editor for current affairs programmes which provides security when he is developing his own projects. Birna’s company focuses on developing TV documentaries and series mainly for the Icelandic national broadcaster, focusing on telling stories from rural Iceland. ‘The dominance of Reykjavik means there is a real missed opportunity. Companies based in the capital don’t have local knowledge of the areas of North Iceland, where I’m based. There is an opportunity for those based outside the capital,’ she said. Daniel Nordlund noted that as his is a very young company, he and his business partner Simon Bergstöm are undertaking photography and commercial video contracts to fund their own short film. Paddy Hayes, from the IFTA winning Galway-based production company Magamedia, gave a talk titled ‘Who lifts the mirror?’. Starting out by describing himself as ‘Working on the ‘Serengeti’ of filmmaking’ by being based in Galway, full of droughts and bigger predators’, he went on to describe his career and the development of Magamedia and particularly their relationship with Irish language broadcaster TG4. He asked the question ‘Who lifts the Mirror?’ to tease out the issue of who lets film-makers tell their stories. Who has ultimate control over whether a project comes to light. ‘You can’t convince people to open their pockets to fund a project unless they see footage, a sizzle reel. That is really worthwhile to invest in if you’re serious about raising funds,’ he concluded.